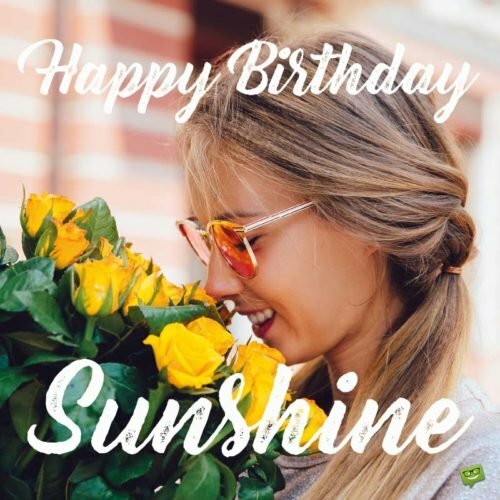 The birthday of a Christian presents you with a good opportunity to not only express appreciation for his or her life but also to acknowledge their religious conviction. 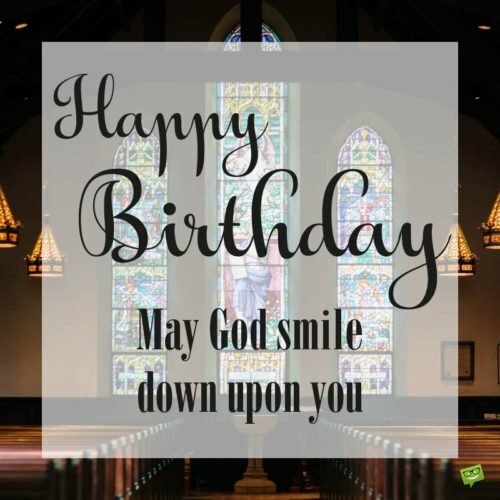 It’s against this backdrop that we have provided the following lovely Christian-themed birthday quotes for you to freely use in celebrating the beautiful life of that follower of Jesus. Even though God has already brought you to a ripe old age, may He bless you with so many more years of life that people will praise Him whenever they speak of you. We are most joyful today because God has deemed you worthy to bring you into yet another new age of your life! Today, we celebrate the life of not just an average person but someone who has taken it upon himself to exemplify what it means to live a Godly life. On this blessed day, may your future be highlighted by discipline so effective and blessings so abundant that there will be no question they came via the most high God! Today, we give thanks to you for being a living example of the Christian faith, and we especially give thanks to God for putting someone like you in our lives. In celebration of your life, we delight ourselves in the Lord for giving us the desires of our hearts in a friend such as you! When God made you, He created the model human being, complete with all of the extras! Hope your special day is brimful with special blessings of God. May this new age bring with it the realization that no bad situation is permanent and that God still has a plan that He will execute in your everyday life. May God smile down upon you. Long life is a unique blessing that only the Lord can gift man, and we are all happy that He has decided to extend this priceless blessing onto you. Even as you age in the body, you never grow weary of doing good. May your birthday give you nothing but immense happiness and the blessings of God. Today, we celebrate the life of a woman whose faith no trial in life has been able to defeat. Dear, may God and the Holy Spirit continue to renew your strength for countless years to come! You are the heart of the body of Christ which is this church. We thank God for naturally enabling this celebration of your life, and we thank you for being such an effective leader! Ultimately it matters not if you spend this day alone, for where human beings may fall short God is still with you. Have an awesome and blessed celebration. May you inherit long life, prosperity and all that God has in store for those who love and serve Him. Dearest, may this be a year of your life in which you enjoy the unparalleled favor of God. Our praises go up to the Lord every day that we get to enjoy this world with you. Hoping you are blessed with limitless happiness as you celebrate the anniversary of your birth today. May the protection of the Lord continue to be your shield and His love your refuge all the days of your life. Enjoy your big day, dearest brother in Christ. May God’s love grant you a life full of wonders, where His elusive miracles manifest daily like the sunrise. We thank God for your life and pray that you come to trust His plans and will in everything you do. May you enjoy a long life full of prosperity and joy and on your last day go in full confidence that God will instantly receive you. May God magnify all of your rights and forgive all of your wrongs as you celebrate your birthday today. May you live a life where your heart is like an open book containing the words of God. Have a beautiful anniversary. May your life read like a sermon that extols the abundance, health and contentment that only a true child of God can receive. Today, I pray that God will strengthen you to be a foundational piece of your church, community and workplace. May God remove all silent suffering from your life and instead replace it with unspeakable joy. As you mark the day upon which you were born, remember He brought you into this world for a purpose. Just as the angels will celebrate on the day you enter heaven, today, we praise God for allowing you to enter into a new year of your life! Even as darkness of the world surrounds us, God has still given us reasons to rejoice, such as the special occasion that we celebrate today. We thank God for bringing you into a new year of life and with it the opportunity to become a more-dedicated Christian than you may have been in the past. May the exaltation and material wealth bestowed upon you in the world be complemented with humility and spiritual riches in God. Each candle on your birthday cake represents not only a year of your life but individual blessings that God has graced it with since your birthday. May God continue to bless your life so that you can use that favor to continue to bless the lives of others. Happy anniversary, and thank you for teaching us that vast wealth is not a prerequisite for effective charity. Today we celebrate not only your life but also the joy and love you have brought into ours. May you live a life full of revelations and appreciation for the innumerable wonders of God. May this gift serve as a symbol of the exemplary service you have brought to our community, just as God will ultimately gift you with eternal joy for your exemplary life! Just as the almighty God has hidden unsearchable wonders in the depths of the sea, may all of your past years be just a preview of the glory He still has in store for you! We fast in commemoration of your birthday not as a sign of suffering but rather as our petition to God for long life, prosperity and purpose to be granted onto you! May increased age in your life be marked by improved levels of discipline to enable you to better serve and please the Lord. May the appreciation we feel and praises we express on your birthday become a norm in your life that inspires you to dedicate each day to the almighty God. May happiness and the amazing blessings of the heavens be just as much a normal part of your existence as eating, drinking and sleeping. I’m so glad God brought us together in this lifetime. I pray as you grow older you become more Christlike and continue to be a shining example to us all. May the Lord smile down on your life and continue to bless you with health and advancement. Dear brother in Christ, on your birthday, may God grant you many more years of happiness, prosperity and excellence. Three wise men didn’t visit us on the day you were born, but you’re still a very special person. Have a blessed birthday, dear. “It is better to give than to receive,” so please accept this birthday gift knowing I don’t expect anything in return except for you to continue to be the lovely person that you are. Happy birthday to the most solid Christian I know. May the church and community be blessed many more years with your leadership! In Christianity, godly examples are just as important as godly words, and we are blessed to have someone like you who practices both. Happy birthday, dear friend. ‘Our days are short and full of trouble,’ but that doesn’t mean that God hasn’t blessed us to enjoy them. Go out and have fun on your birthday, my dear sister in Christ. Happy birthday, fellow believer. May your life be blessed with heavenly riches and bliss. May the God of Heaven and Earth gift you a long life that is adorned with true happiness. ‘The eye has not seen, nor the ear heard, nor the human mind conceived’ the good things God has in store for you, my friend. I want to use this important day of your life to let you know how much I admire you for being a true Christian. 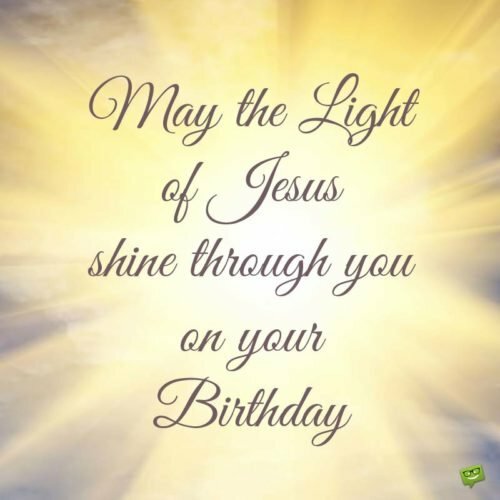 May the light of Jesus Christ continue to shine on your life and bless you abundantly. You are one of the cornerstones of our church, and I hope that God empowers us all to continue this relationship for many more years to come. I hope that the heavens open up and bless you on this special occasion of your birthday. May the angels of happiness always be with you, brother. If you were born 2000 years ago, Jesus would have chosen you as one of his 12 disciples. Your life is so exceptional that it’s worthy of having its own book in the Bible. Happy birthday, dear friend and teacher. May God show you the same mercy that you have shown others and bless you with many more years, indeed an eternity, of His undying grace. My prayers today consist of one for you to enjoy a long life full of family, friends, wealth and happiness. I firmly believe it is the will of God for you to have such. Have the best birthday ever. May each day of your life bring with it a new, unique blessing. This year, the church has collectively decided to purchase you this gift in a show of appreciation of not only how much you’ve sacrificed but also how precious you are to our hearts. May God forever favor your life. May God bless you with a happy birthday and a very prosperous future. I wish us a strong future together as brethren of Christ, able to spread the gospel throughout the entire world. Enjoy your birthday, dear. My birthday message to you is to soon meet a godly spouse that not only matches your righteousness but also your beauty and creativity. Happy birthday, my dear brother/sister in Christ. May the hosts of heaven be forced to wait many more years for your arrival. You are a child of God, and we are just the stewards who have been blessed to partake in your upbringing. Happy birthday, son. Every moment spent with you is like living in the Bible! Happy birthday to one of the most wonderful Christians I have the pleasure of knowing. Your presence alone makes us all strive to be better Christians. Please accept this sincere happy birthday wish from my family and me. 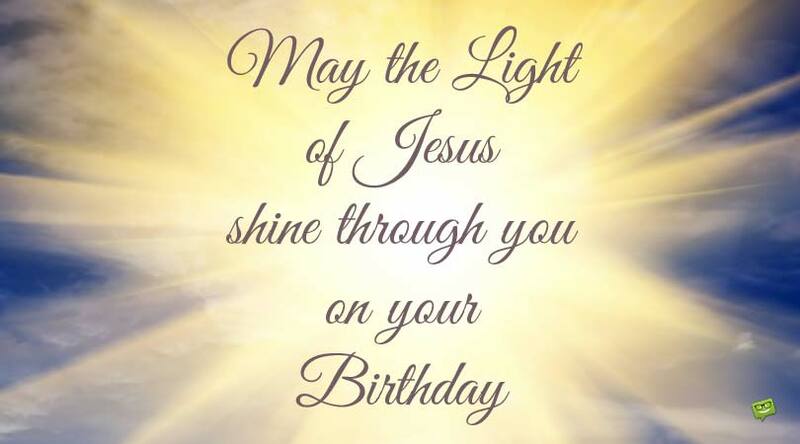 May the Light of Jesus shine though you on your birthday. I know that this past year did not go the way you had hoped, but remember that our loving Father, Jesus Christ, is aware of your struggles and will surely come to rescue in the right time. I know your family is not around, so this year the party is at my house in celebration of your birthday. We, your brothers and sisters in Christ, are all happy to spend this special day with you and wish you many more! Celebrate your big day, knowing that there’s no device the wicked one can concoct that will ever make our Father in Heaven abandon you or relinquish His amazing love for you. Have a truly blessed birthday. May the joy of the Lord always dwell in your heart. As your life of faithfulness progresses, I expect to one day see God’s miracles performed at your fingertips. Have a magical and blessed birthday, dear brother. You put the charisma in ‘charismatic’ and the church in ‘church’! I’m really grateful to the Most High God to have you as a friend. May your days and conduct continue to be a holy reflection of the earthly lives of our spiritual forefathers. On this your birthday, we will sing praises to God in celebration of your life! Enjoy your day. On this milestone birthday of yours, may Jesus Christ bless you with an abundance of material riches while allowing you to retain a spiritual mind. We plan on celebrating your birthday with you from now throughout our eternity together in heaven. Thank for showing us all what it really means to be self-sacrificing. 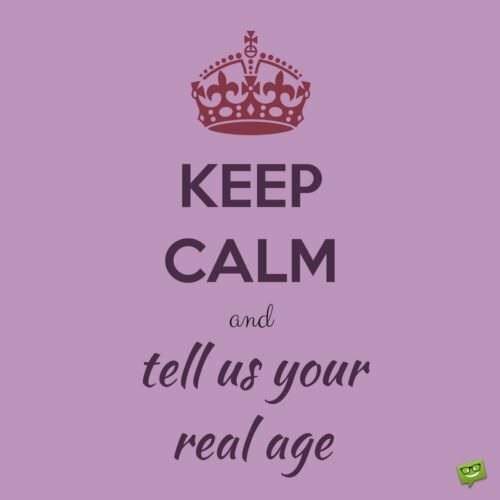 We thank God for bringing you into the world and hope He blesses you with a happy, old age. Looking back on the day you were born now feels like a prophecy was fulfilled. Happy birthday, and may God will for you to continue growing into an exceptional human being! You are one of the elect upon the earth, and as you grow older, I also hope you grow more resilient and effective in Christ. You’re the type of person that attracts others to the church, both old and young alike! Happy birthday, cherished one.